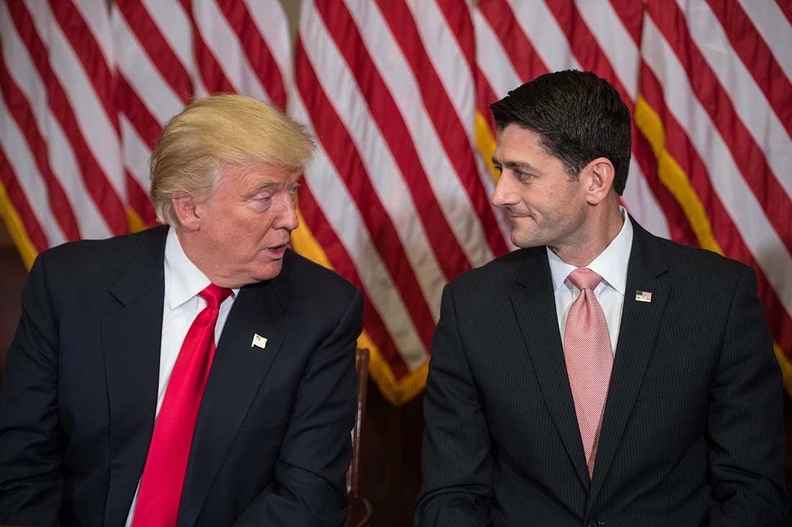 President-elect Donald Trump and House Speaker Paul Ryan signaled they will move quickly to repeal the ACA. After seven years and many promises, Republican leadership failed to get enough votes to pass legislation that would repeal the Affordable Care Act. The American Health Care Act was pulled before a single vote was cast. The move received mixed reactions from many who had a lot at stake under the bill. Here's a quick list of who won and lost as a result of the failed attempt to repeal Obamacare. President Donald Trump, who reportedly visited House members and demanded that they pass the bill or else he would abandon healthcare and move on to different priorities. Paul Ryan, who failed to whip the votes for his first major piece of legislation as House speaker. All the House Republicans on the four committees in the chamber who approved the bill. They are now on the record as having supported measures that would disproportionately affect low income and elderly people. Chief White House strategist Steve Bannon and Office of Management and Budget Director Mick Mulvaney, who ineffectively tried to cajole House Republicans. Insurers and people depending on the individual marketplace to provide them coverage, given there is little help in stabilizing the individual markets. Wealthy people, who would have gotten a tax break in the bill. Republicans who voted no, including Rep. Charlie Dent of Pennsylvania, who lead a group of moderates, and Rep. Rodney Frelinghuysen of New Jersey, who is chair of the House Appropriations Committee. Trump son-in-law Jared Kushner, who reportedly told the president not to support the bill and was skiing in Colorado during the March 24 fiasco. House Democrats Jim McGovern of Massachusetts, Alcee Hastings of Florida and others who seemed to reflect voter sentiment during committee hearings opposing the bill. AARP, Families USA, the American Hospital Association and the American Medical Association, which all took strong public positions and rallied the troops to oppose the bill. The House Freedom Caucus, which opposed the bill from Day One. The Koch brothers' Freedom Partners and Heritage Action, which put money against the bill and made it clear they will continue to be a force to be reckoned with by anyone trying to pass any legislation. Dr. J. Mario Molina, CEO and president of Molina Healthcare and one of the few vocal healthcare industsry opponents of the AHCA. Medicaid and Medicare beneficiaries, at least for now. President Barack Obama, whose efforts to overhaul healthcare remain the law of the land.